It's been a minute since I've been here but today I am back! 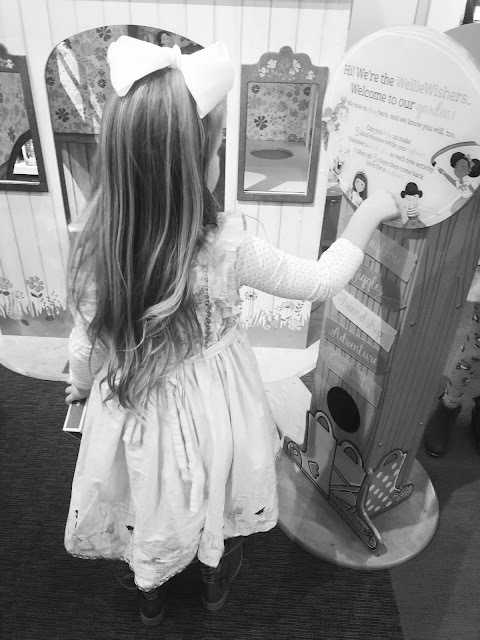 Last week, MILLIE JO TURNED SIX & we celebrated ALL week long. Like, big time! The Saturday before her birthday, we had our yearly girl's day! I love this girl of mine BIG! 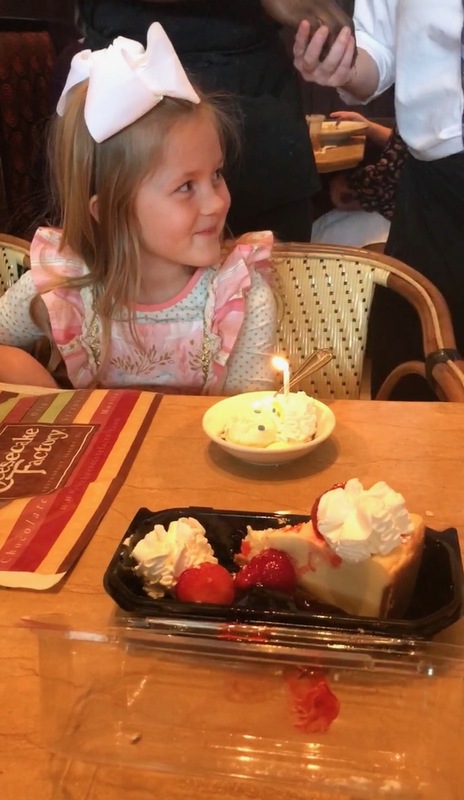 And this girl was so excited to get cheesecake + ice cream with a candle! Cheesecake, ice cream, shopping & Starbucks. That next day, after church, our families met for lunch at our favorite Chinese restaurant. 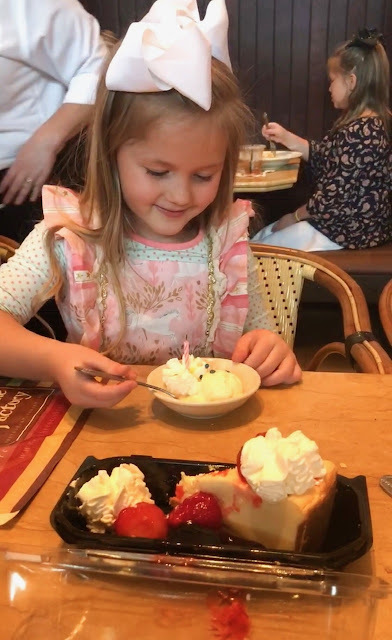 Since we didn't do a party this year … more on that in a minute … we wanted to make sure our family got together to celebrate. And per Millie Jo's request, she had a mermaid cake! The girl loves when she gets to see her cousins! 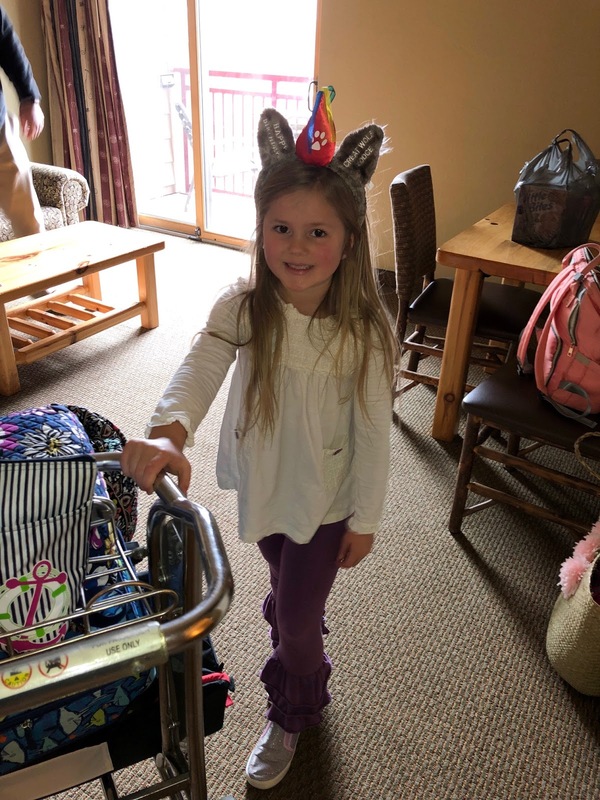 Her last picture as a FIVE year old! And she was ready to rock the day as a SIX year old! I took cupcakes to her class that afternoon & they sang Happy Birthday to her! Dan went the night before & painted the school rock for her. After school, Millie Jo & I took Cooper & Itty Bitty to Mimi & Paw-Paw's so we could go to the hair salon to get her hair cut! Afterwards, we went to Cheddar's because hello, the girl LOVES her spinach dip, crescent rolls & sweet tea! We ended our night meeting Dan at Starbucks where he brought her flowers. So Pop & Grammy got her (us) a night there for her birthday! And we ate way too much! And it's not just for kids. Dan & I rode the waterslides over .. & over! 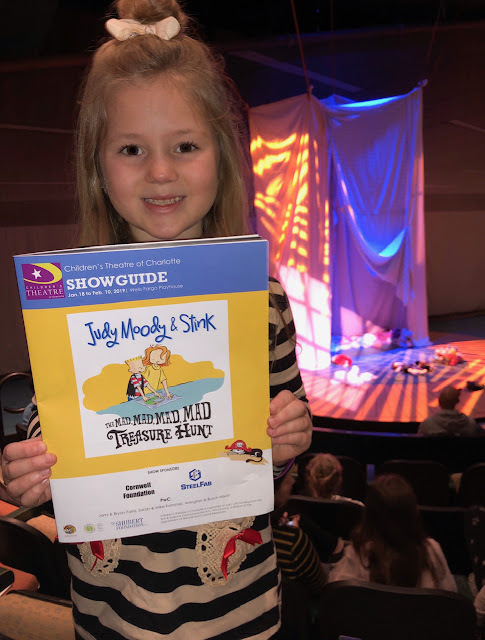 Me, Millie Jo & Mimi went to see the Judy Moody play in Charlotte! 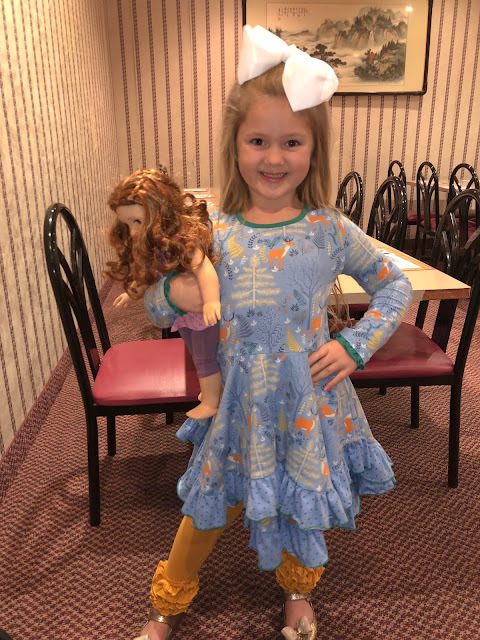 It was her birthday gift from Mimi & Paw-Paw. We grabbed lunch first & then headed to the play. It was SO cute & we will definitely be going back to see other ones! If you made it through this entire post, YOU GO GIRL! You, girlfriend, deserve another hot cup of coffee! I would say that it was a pretty great birthday for my sweet Millie Jo! It usually doesn't feel like so much but it was all going on in a week's time this year. And the memories made at the different places instead of presents to open are something that will last forever! Now it's time to get ready to celebrate our February & March birthday babies! I love how you gifted an experience, seriously I think this is the best idea. Looks like you all had a blast.